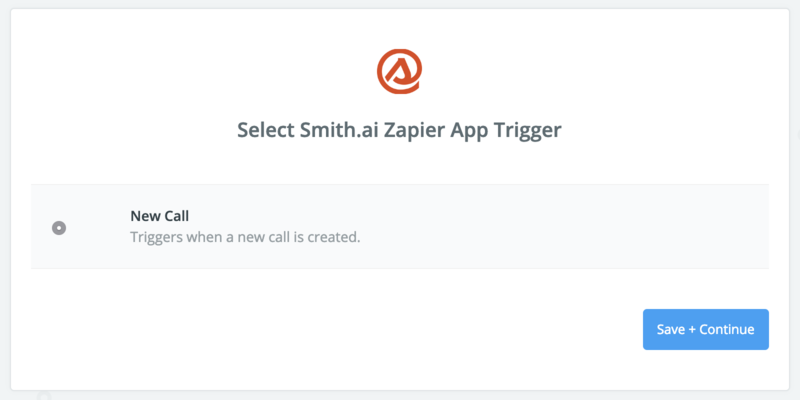 Request your Smith.ai API key from us and confirm the $0.50 per call/month account upgrade for CRM integration. Click "Accept invite & Build a Zap" and then "Create this Zap" on the next screen. 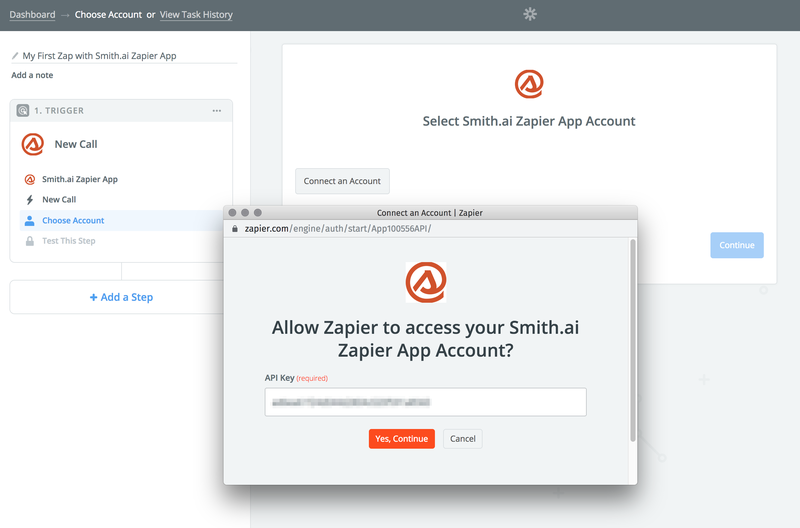 You're now building your Smith.ai Zap and can do whatever you like. Enter your API Key again in the next screen and click "Continue"
Test your Zap. Open a sample and make sure everything looks good. If it is missing something, please check another. If all three are missing critical information, please stop here and let us know. Looks good? Great. Click "Continue." Now we need to make an Action Step. 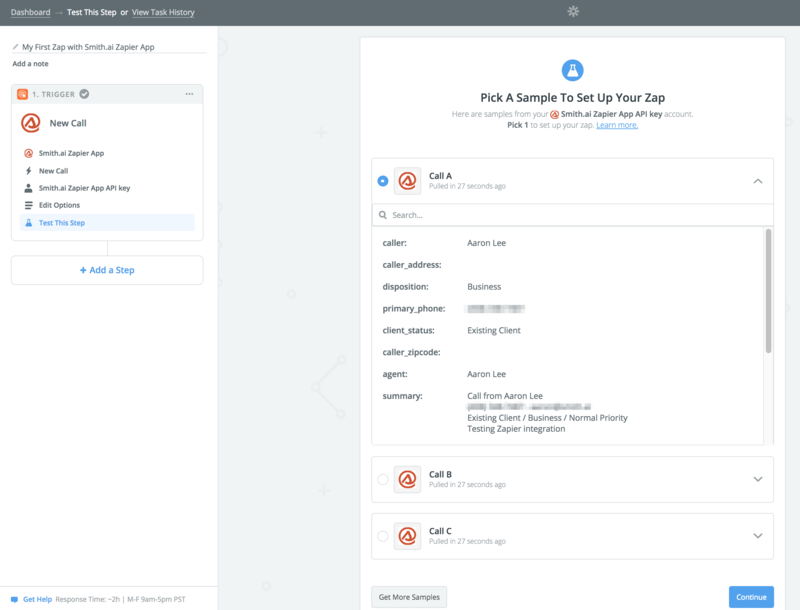 This is where you'd connect your Zap to your CRM, spreadsheet, trigger, or anything else you've dreamt up. 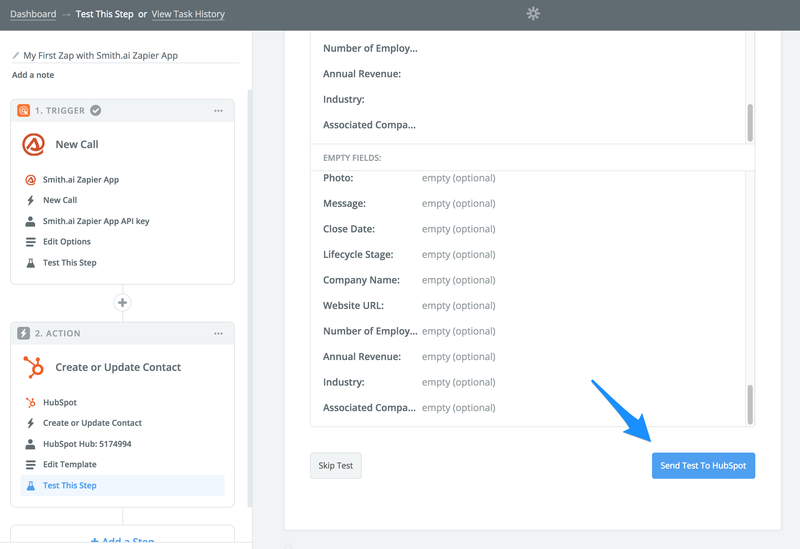 If you are following instructions for a specific CRM, here is where you'll leave this tutorial to yours. But since we don't have any of those articles written yet, you have two options: Go nuts and figure it out yourself, or contact us and we'll walk you through it. Alright! 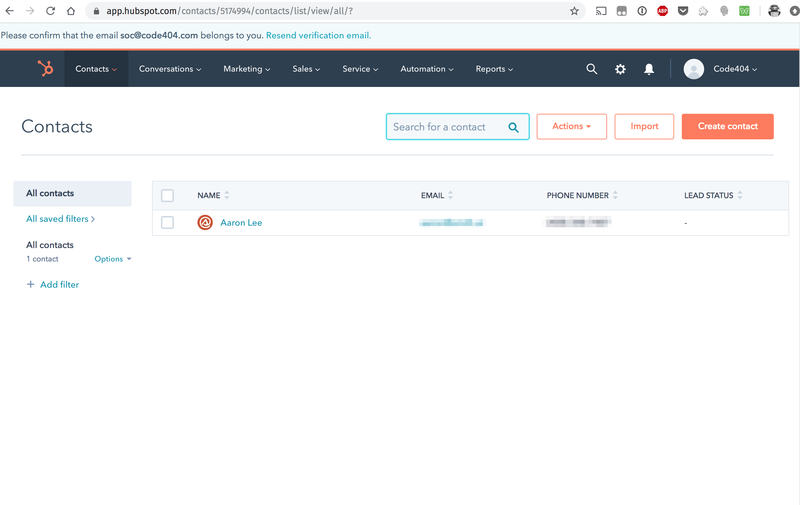 So in this example, we're going to connect it to our HubSpot account. 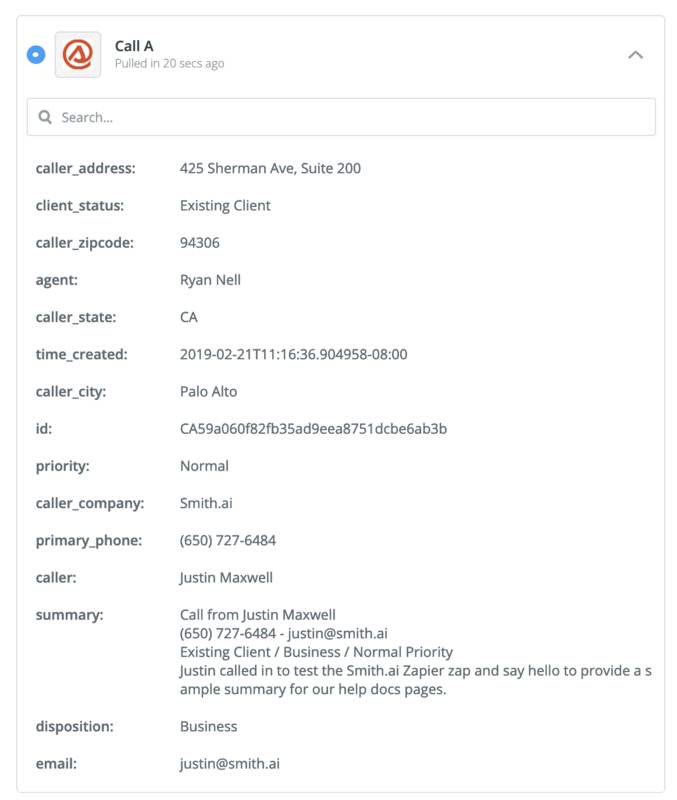 Click "Add a Step" and search for your CRM or desired action. We're going to select "Create or Update Contact" but again, do whatever you like here. Save & Continue. 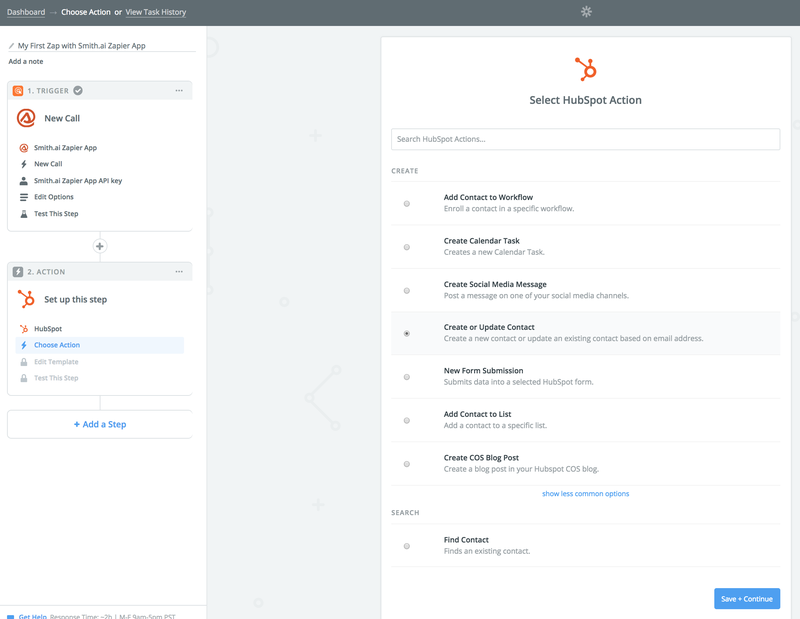 Connect your HubSpot account. Save & Continue. When you are done, click "Continue." 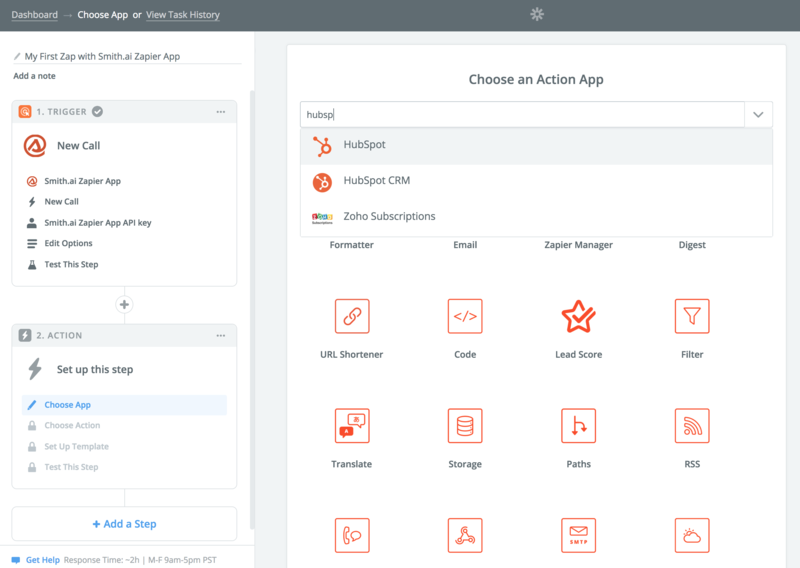 Send the test to your CRM, which for us in this case is HubSpot. 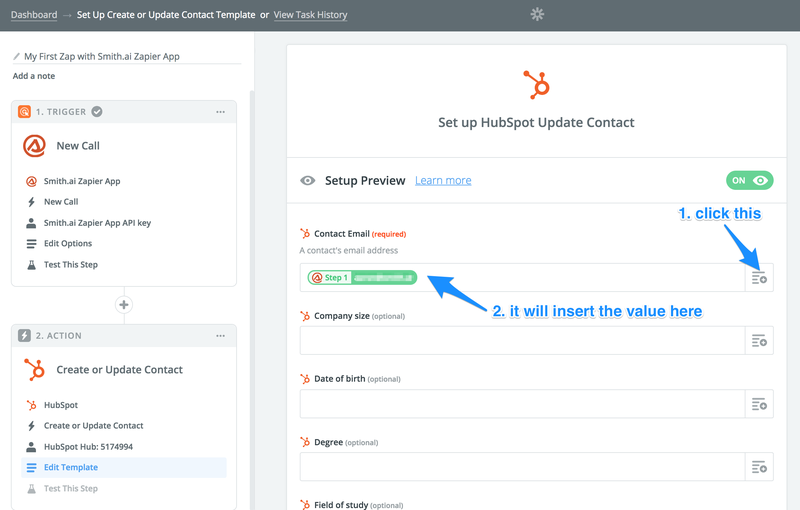 Head on over to HubSpot, and...well, look at that! It worked! 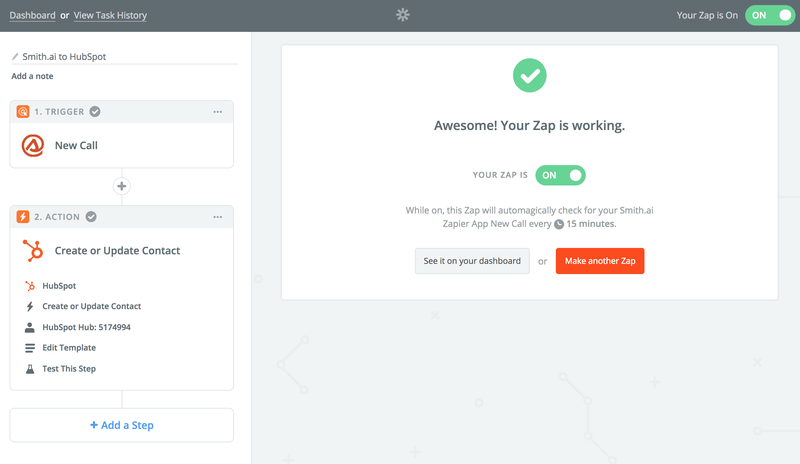 Turn your Zap "on" by toggling the switch in the upper right corner. That's it! Every 5-15 minutes, depending on your plan, the Zap runs to pull in your most recent calls. 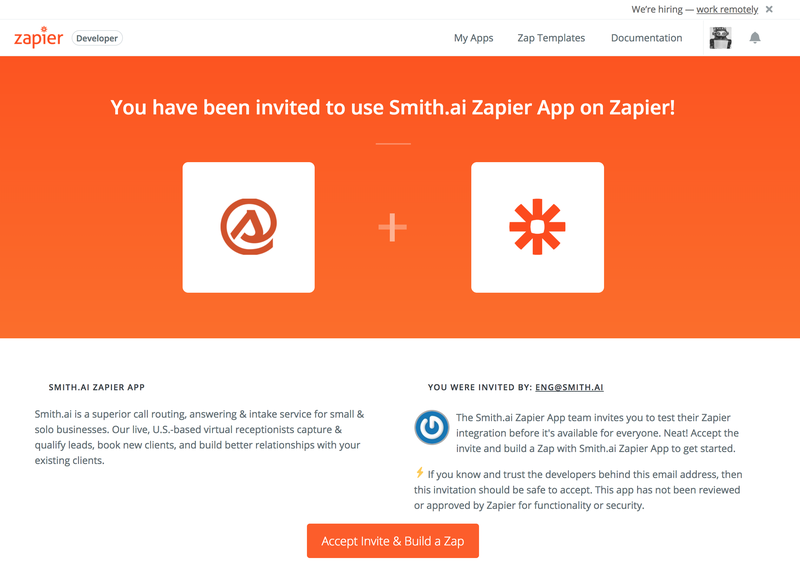 What are you using your Smith.ai Zapier Zap for? Please let us know! We'd love to feature you on our blog.